We are ethical German shepherd breeders who strive to produce the highest quality German shepherd puppies possible. 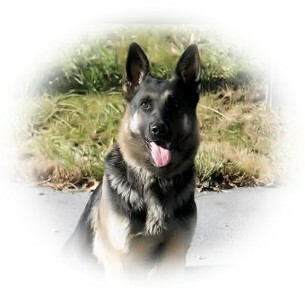 Vom Weiland believes that the main foundation of a German shepherd breeding program lies in the female German shepherds. We searched for the highest quality German shepherd females available, from top quality Czech bred German Shepherd kennels in Slovakia. 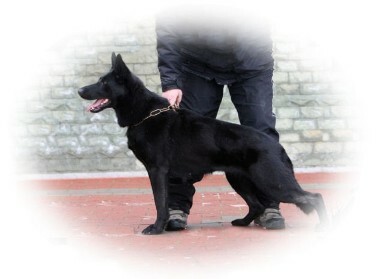 We imported all of our Czech GSD females directly from Josef Mravik, owner of EurosportK9 in Slovakia. Each time we searched for a GSD female, our criteria was to acquire an adult German shepherd female with the best hips and elbows possible. We wanted a GSD female who had proven her working temperament and willingness to work by achieving a title in Slovakia, and who had a tremendous pedigree with titled Schutzhund GSD ancestors. 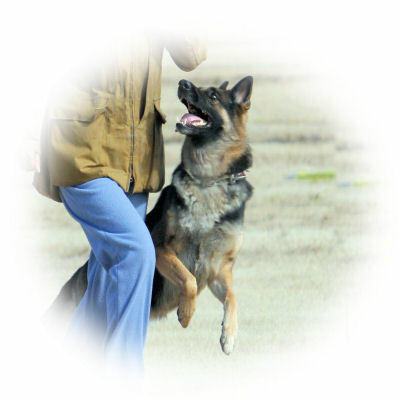 Each of our female German shepherds has, or is working towards, a Schutzhund title; the Sch title tests their ability to do tracking, obedience and protection work. Our goal is to provide our client with a male or female German shepherd puppy who will be the best German shepherd possible: they are high drive, big boned, old style male and female German shepherd puppies. Our male and female German shepherd puppies will excel in Schutzhund, protection work, police duty or make loyal family pets to protect your home. Our breeding program consistantly produces athletic, smart male and female German shepherd puppies to excel in Schutzhund, or to be excellent family pets protecting their owner's home. Proof of the fact that we have been very successful at producing superior puppies is our Testimonials page which has many notes from happy puppy clients. Also, check out our reviews and testimonials on yellowpages, then click REVIEWS and read at least 20 reviews submitted by happy owners of our puppies. We strive to breed the best German shepherd puppies possible. As responsible German shepherd breeders, we have chosen German Shepherd females who have world class genetics, and the best hips and elbows possible. Our dogs have proven hips and elbows. We had our dogs' DNA tested for DM, to avoid breeding puppies who would be subject to Degenerative Myelopathy. 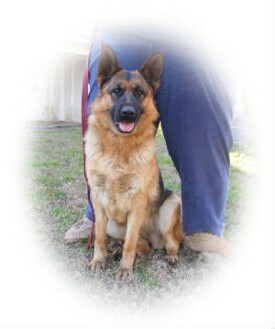 We searched for titled female GSD daughters of world class stud dogs. 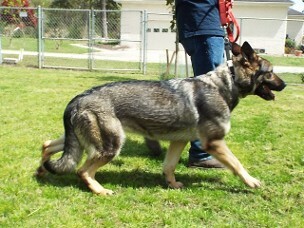 Each of our female GSD were selectivly chosen to be a good match to our German Shepherd male's genetics. Our current German shepherd breeding female is Alwa z Eurosportu, daughter of a very talented Czech dog, Eros z Agiru Bohemia, IPO3. Her mother, Delilah z Eurosportu, IPO2, was also a large big boned, straight backed female German shepherd, strong in protection. See her pedigree and pictures of her ancestors and their achievements at PedigreeDataBase. This outstanding German shepherd female, Alwa z Eurosportu, will introduce red tones to our German shepherd puppies. Our newest female German shepherd, imported from Slovakia on April 10, 2015, SG rated Ebigeill z Get-Pet ZV1 has exceptional ancestors in her pedigree. See her pedigree and pictures of her ancestors and their achievements at PedigreeDataBase. The litters produced by these two German shepherds should produce 50% sable German shepherd puppies, with the rest of the litter of male and female German shepherd puppies being black and tan GSD puppies. Our female German shepherd dog Orsina z Get Pet, (Sch2 KKL1), RETIRED, produced exceptional dark pigmented black and tan German shepherd puppies. We have also retired Ava Malabig and Cira Hurkak. We are so confident in our GSD breeding program that we offer a complete health guarantee for each malr or female German shepherd puppy. View videos and photos of our previous male and female German Shepherd pups as puppies and as adults or our current male and female German Shepherd puppies for sale on our litters page. Our foundation German shepherd females are of substantial merit, strong, large boned, with an excellent temperment to produce extremely high quality, sound male and female German shepherd puppies for sale.